Siberia! Thanks to popular novels and movies, the word conjures up images of an endless expanse of barren, frozen wastelands – a place only suitable for prisons, labor camps, and exile. The reality is that this region, although remote and scarcely populated, is an ideal destination for Toto travelers who appreciate the beauty of untouched nature, fantastic landscapes with green valleys and high mountains, and rich flora and fauna. The best way to explore Siberia is to make a rail crossing via the world famous Trans-Siberian Railway. The Trans-Siberian railroad, still the longest in the world, celebrated its centennial of continuous service between European Russia and the Pacific Ocean port of Vladivostok in 2016. This is a sneak-peek at our plans to undertake this expedition in September of 2019. The dates and pricing are not yet finalized, but we can share the itinerary as it is currently being operated by the railroad company. Our aim is to have sufficient advance reservations to be able to secure a private, nine-cabin train carriage for our group. The carriage is decoupled from the train at our overnight stops, meaning that even though we sleep at a hotel in those towns, we won’t have to unpack everything. We can leave our belongings on the train carriage and take only what we need for the one- or two-night stay. After reading the itinerary below, click the “Book Now” button to hold your space for this once-in-a-lifetime adventure. Deposits will be fully refundable up until two weeks after the tour is finalized with dates and pricing. Getting your deposit in now will secure your space on this exclusive expedition that is sure to sell out quickly. If you are a dedicated world traveler constantly in search of stunningly beautiful new territories to explore which are as yet absent the tourist hordes, this is the trip for you in 2019! Following breakfast you meet your private guide in the hotel lobby and explore one of the most outstanding Moscow icons - the Kremlin. 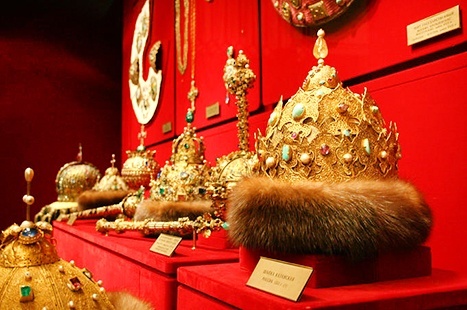 You go inside the Kremlin walls to visit its famous Armoury Chamber that houses a unique collection of crown jewels, stunning coronation finery, hand-forged armor and weapons, royal carriages and sleighs, and world-famous Fabergé eggs. 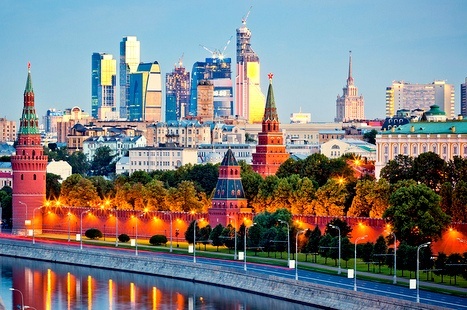 After lunch in a city restaurant you have a wonderful city tour around the most magnificent Moscow landmarks. 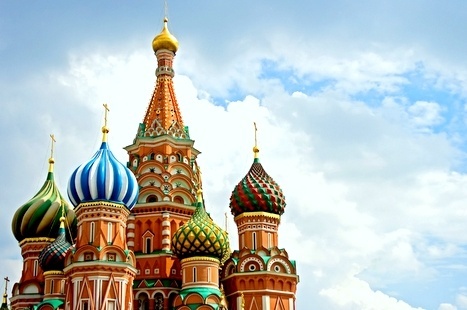 During the tour you take a walk at the beautiful Red Square, go inside the colorful St. Basil's Cathedral, see the spectacular Cathedral of Christ the Savior and enjoy one of the best city views at Sparrow Hills. 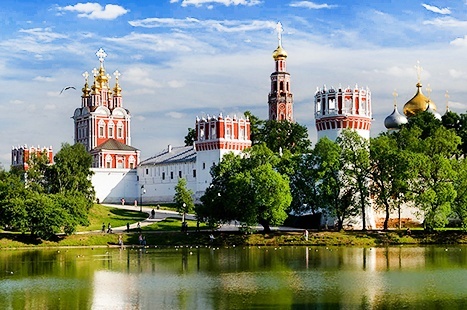 Upon arrival you meet your guide at the train station, have lunch and go on a wonderful panoramic city tour around the most famous attractions of Nizhny Novgorod. 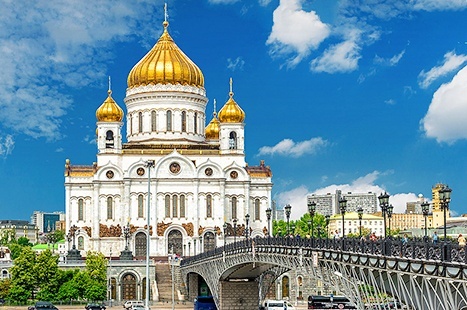 During the tour you stroll through a pedestrian Bolshaya Pokrovskaya street, see the beautiful Stroganovskaya Church, explore the ancient Annunciation Cathedral, enjoy fantastic city views from the Volga slope and visit the famous Nizhny Novgorod Kremlin. Following breakfast you check out from your hotel and prepare for an exciting full day trip to explore the Kungur ice caves, located in the outskirts of Perm. Known since time immemorial, the caves encompass the remains of ancient settlements dating back to VII-IX centuries. The caves represent a system of labyrinths and are famous for their unique grottos. 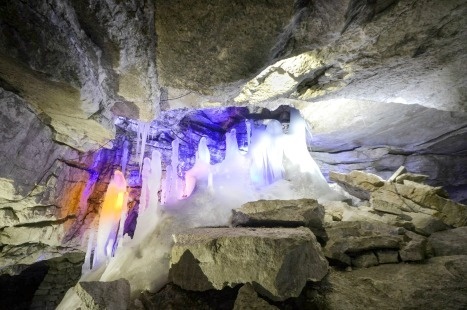 There are about 70 underground lakes of different sizes in the caves, exact number depending on the time of year. During your tour exploration you pass the large excursion ring traveling 1300 meters underground. Lunch in a local cafe is included. At about 3:15 a.m. you arrive in Ekaterinburg. Upon arrival you are met by your driver who takes you to the hotel for early check-in and some rest. After breakfast you enjoy a guided sightseeing tour around the most remarkable city landmarks. 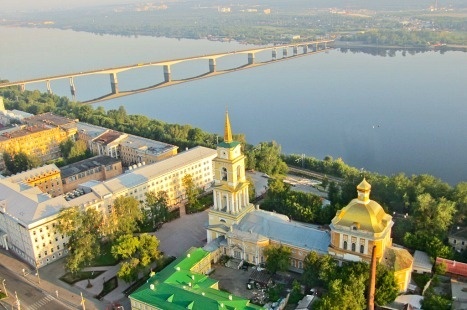 During the tour you take a walk through the historical city center, go to the Vysotsky hotel observation platform to see incredible panoramic views of the city, visit the Ural Craftsman Lane where you can buy some traditional hand-made souvenirs and see the magnificent architectural ensemble of the Rastorguev - Haritonov’s House. 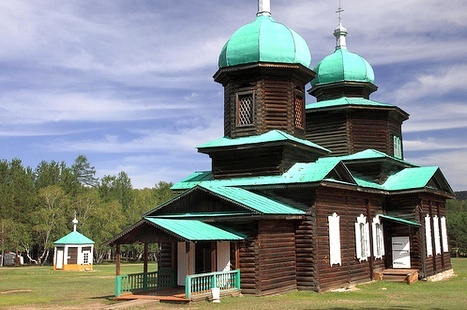 While on tour you also learn about the last days of the Russian Imperial Family - you visit the Church on Blood built on the site of the notorious Ipatiev House, where the last Russian Emperor, Nicolas II, and his family were executed by the Bolsheviks in 1918. The highlight of the day is a trip to the famous Europe-Asia monument where you can happily experience being at two places at once putting one foot in Europe and the other in Asia. 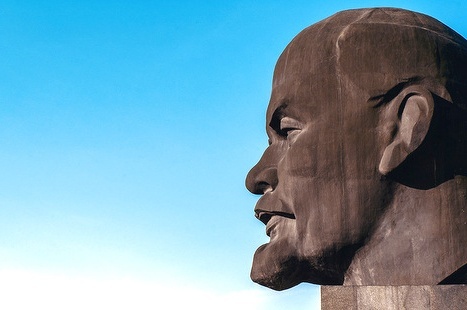 Following breakfast you check out from the hotel and enjoy a guided tour around the most interesting attractions of Novosibirsk, including the central Lenin Square, the Opera and Ballet Theater, the Alexander Nevsky Cathedral and the Ob River embankment. 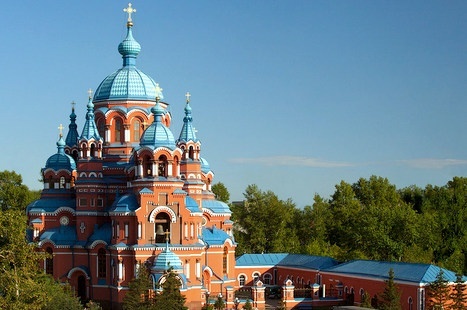 During the tour you also see the Local History Museum, visit the Beresta Museum and spend some time at the Central Market, where you can buy traditional Russian souvenirs and experience the local life. Early in the morning you arrive in Krasnoyarsk that is considered one of the most beautiful cities in Siberia. Your driver meets you at the train station and takes you to your centrally located hotel for early check-in. After having some rest you enjoy a wonderful sightseeing tour around the most famous city landmarks. 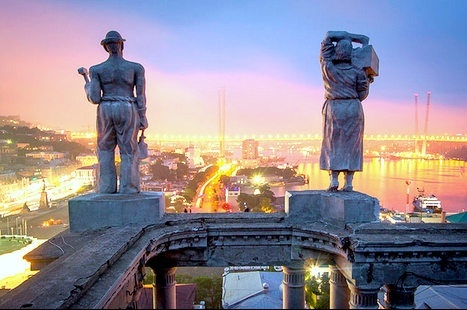 During the tour you explore Mira Square that offers outstanding views of the Enisei River, take a walk along the old city streets, see the monument to Andrew Dubenskoy, visit the Praskeva Pyatnitsa Chapel and enjoy panoramic city views from Karaulnaya hill. In the morning you arrive in Irkutsk, informally known as "Paris of Siberia" for its rich architecture and colorful live. Your guide meets you at the train station and takes you to the nearby Listvyanka Village located on the shore of Lake Baikal where you have breakfast at the Krestovaya Pad hotel (early check-in is not included). Later in the morning you enjoy a sightseeing tour around the village. During the tour you visit the Baikal Limnological Museum and Aquarium that houses an interesting display of the unique flora and fauna of the lake. After lunch in a local restaurant we have planned an exclusive experience for you - a 3-hour cruise on the magnificent Lake Baikal. Together with the guide you board a ship that takes you to one of the stations of the first Baikal railroad. 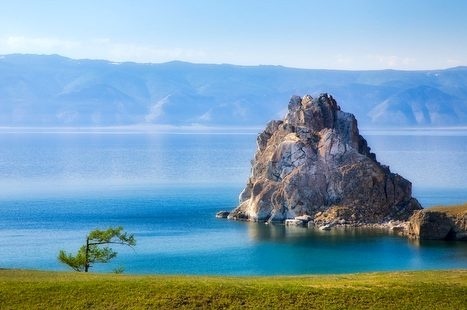 While on board, you enjoy the calm waters of Baikal and feel the power of the world’s deepest lake. After you get ashore your guide takes you to the tunnels of the old railroad, where you have a chance to take pictures. On the way back you relax on the open-air deck of the ship with a cup of hot Siberian tea and local candies, listening to the stories about the life of locals. 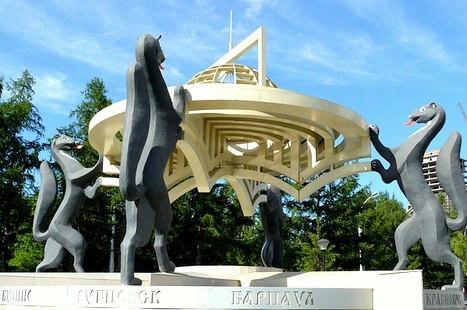 After breakfast you check out from the hotel and your driver transfers you to Irkutsk. Upon arrival you leave your luggage at the hotel and have a guided tour around the most remarkable city landmarks. 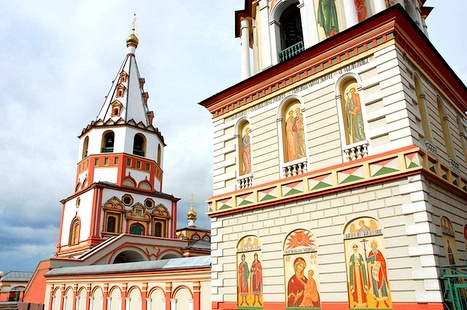 During the tour you explore the historical part of the city, including the Epiphany Cathedral, the oldest stone-structure Church of our Saviour and the only Catholic Cathedral in Irkutsk, the Polish Roman Catholic Church. Then you walk through a beautiful Kirov Square and a central Karl Marks Street that will lead you to the Angara river embankment - the most popular meeting place among the locals. Early in the morning you check out from the hotel and are transferred to the train station to board your train and continue your journey. 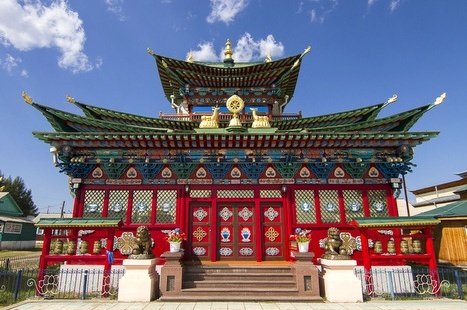 In the afternoon you arrive in Ulan Ude - the capital city of the Republic of Buryatia. Upon arrival your guide meets you at the railway station and takes you first to lunch and then on a city tour around the most interesting city landmarks. 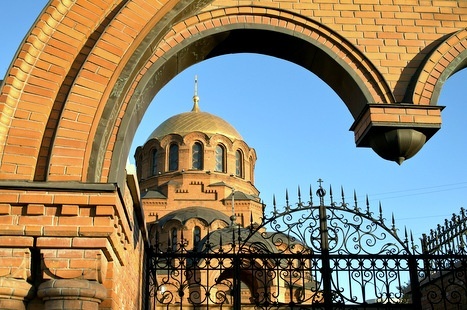 During the tour you visit the beautiful Odigitria Cathedral, take a walk at a central Lenina street abundant in former merchant houses, and explore Soviet Square where you see the world’s largest head statue of Lenin. Today after breakfast you have the morning free to continue exploring Ulan Ude on your own or you can join a carefully planned optional tour. 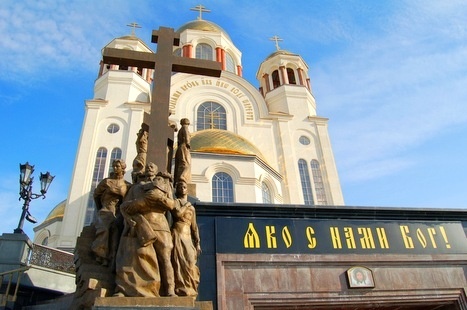 Following breakfast you meet your private guide and driver and set off on a wonderful sightseeing tour of Khabarovsk. 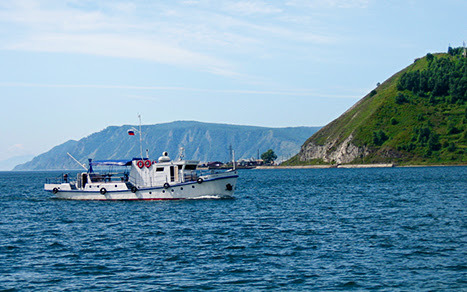 During the tour you explore the most interesting landmarks of the sity including the main street Muraviev-Amurskiy, the Amur river view point and the Amur Cliff considered as a Khabarovsk city visit card. 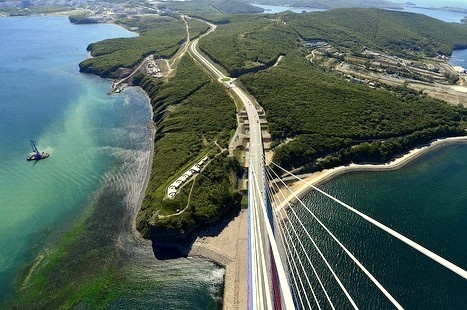 You also ride across the Amur River Bridge which is a part of Trans-Siberian Railway. 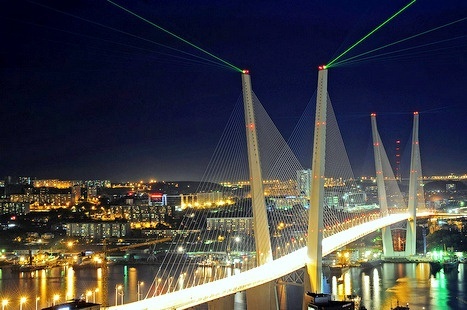 The bridge is famous for being depicted on a 5000-ruble banknote. Upon arrival you meet your guide at the train station and enjoy an exciting sightseeing tour around the most interesting city attractions. 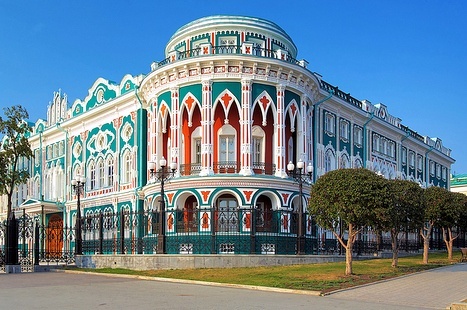 You visit the Vladivostok Railway Station that is the terminus of the Trans-Siberian railroad, the Memorial Submarine S-56 Museum and the Arseniev Museum where you learn more about the region’s rich flora and fauna as well as the culture and history of Vladivostok. NOTE: hotels availability is subject to change. In case current hotels are booked out we will provide alternative hotels of an equal value for you. Located on a picturesque 18th century street less than 10 minutes from Kremlin and Red Square, this remarkable 4-star hotel offers a great combination of charm and quality. 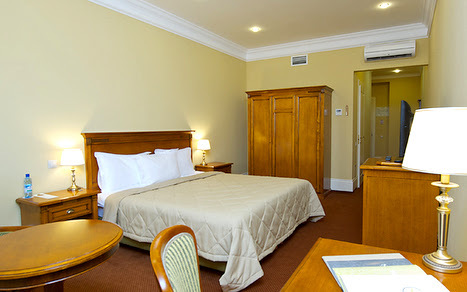 Inside you will find all modern facilities and services a top class hotel may offer. 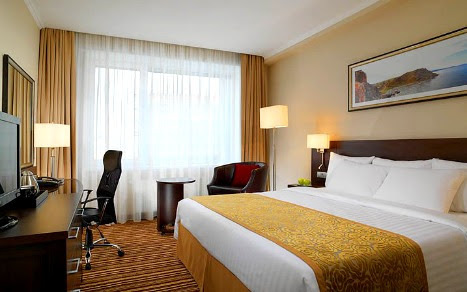 For business travelers, there are fully-equipped meeting and conference facilities. Guests can enjoy buffet breakfasts at the on-site restaurant Terraneo, and delicious dining served at the Russo-American Flat Iron Bar and Roadhouse. Marriott Courtyard's atrium filled with natural light, features the Lobby Cafe with a free Wi-Fi zone. The hotel's fitness-center and spa salon will help you to relax after a busy day in the city. Courtyard by Marriott Nizhny Novgorod City Center is located in the historical heart of the city close to Nizhny Novgorod Kremlin. All rooms are fitted with air conditioning, a flat-screen TV with satellite channels, an electric kettle, hairdryer, free toiletries and free WiFi. Guests are welcome to try seasonal selections and signature cocktails served in the Lobby Bar “Center 46”. Set in a modern nine-storey building right in the city center beside the beautiful Gorky Park, this 4-star hotel provides everything for your comfortable stay: 68 soundproofed guest rooms with free Wi-Fi, air-conditioning and flat-screen TV, an elegant restaurant serving European cuisine, a 24-hour lobby bar, a modern fitness center and massage treatment. 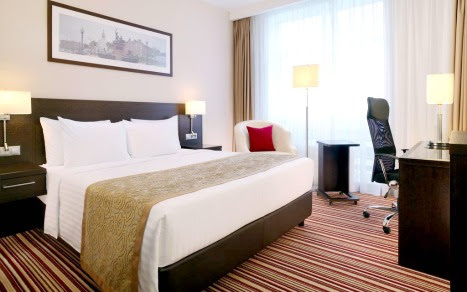 Park Inn is a brand new business-friendly hotel located in the city center, close to many local attractions, including Opera and Ballet House, Afganistan War Memorial and Ural Philharmonic Orchestra. 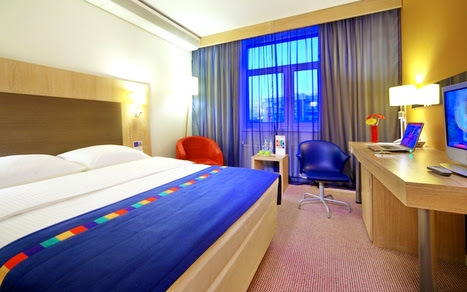 Park Inn has bright interior and excellent service that this world-known hotel brand is famous for. 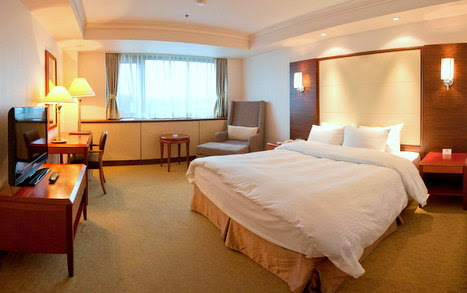 This 4-star hotel is an ideal choice for both business and leisure travelers. 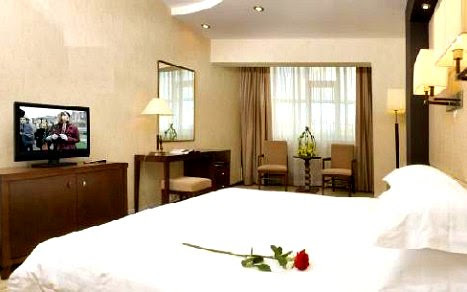 It offers many different facilities to make your stay convenient and memorable, including soundproofed rooms with free Wi-Fi and flat-screen TV, a restaurant serving Russian delicacies, a lobby bar offering a variety of cocktails, a 24-hour front desk, a roundtrip airport shuttle and free on-site parking. The first international hotel is located in a quiet part of the city center, close to the main commercial and shopping areas and is only a short walk from the city center, metro and bus stations. All of the accommodations in this contemporary Russian hotel benefit from a large range of pampering guest amenities, including LCD TVs, luxurious Sweet Dreams bedding and high-speed internet access. At the hotel they offer creative catering and banquet facilities, the latest audio/visual equipment, a business centre and a professional staff eager to ensure guest next event is a success. 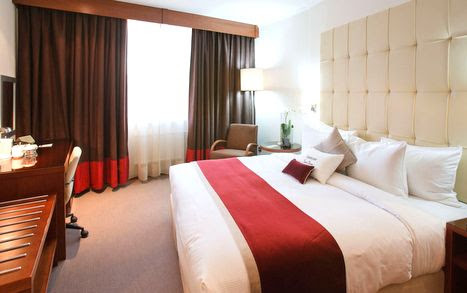 Opened in 2013, this modern 4-star hotel is set in the heart of the city within a walking distance from the Yenisei embankment and the Opera and Ballet Theater. It offers 25 comfortable rooms equipped with free Wi-Fi, flat-screen TV and air-conditioning, an on-site restaurant, excellent conference facilities and free private parking. 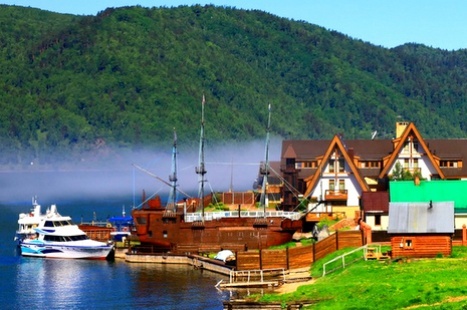 The Krestovaya Pad Hotel founded in 2005 in Listvyanka Village on the shore of Lake Baikal is the best hotel facility in the area perfectly equipped to accommodate 140 guests. The hotel complex includes 7 separate buildings, one detached VIP house, an office building, two restaurants, a coffee house and a grill bar with a summer terrace. Each room features everything you may need for a comfortable stay: free Wi-Fi, satellite TV, coffee / tea making facilities, and private bathroom with complimentary toiletries. 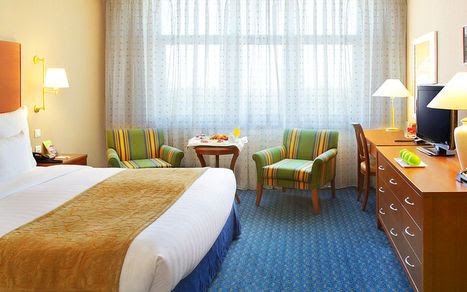 Centrally located within walking distance of the Kirov square, Angara river and the historic Drama theater, this modern and stylish 4-star hotel has everything for fruitful work and comfortable rest. It offers elegant air-conditioned rooms with flat-screen TVs, tea and coffee-making facilities and fridges, free Wi-Fi in public areas, five conference halls and a Grand Courtyard Ballroom, a gym, a bar offering a wide range of snacks and drinks, and an on-site restaurant serving American-style breakfast buffet and Russian-Siberian and international cuisine for lunches and dinners. Sagaan Morin is a new hotel that was built in 2009. The 16-storey Sagaan Morin Hotel is one of the tallest buildings in the city and meets all standards for the hotels of the international level and is able to accommodate up to 150 guests. Offering indoor swimming pools, free wired internet and a 24-hour reception desk, this 4-star hotel is centrally located in Ulan-Ude. 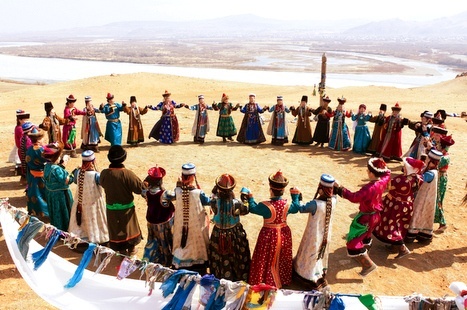 The Sagaan Morin Hotel offers fantastic views of the city. Located close to the picturesque embankment of the River Amur, the Boutique Hotel offers its guests comfortable accommodation, impeccable service and warm friendly atmosphere. It features 50 air-conditioned rooms and suites with free Wi-Fi, flat-screen TV and tea / coffee making facilities, an on-site restaurant serving European cuisine, a lounge bar, and a variety of recreational facilities, including massage treatment and a beauty salon. This remarkable 5-star hotel is located the very center of Vladivostok within a walking distance from the Korabelnaya Embankment which overlooks the Russky Island. It features spacious air-conditioned rooms, free Wi-Fi, two restaurants serving European and Korean cuisine, a Sky Bar located on the 12th floor, and a luxurious spa-center with a large swimming pool, a sauna and a gym.